Hiragana is a phonetic alphabet that was developed in the ninth century to simplify writing. It nowadays is mainly used for native Japanese words. 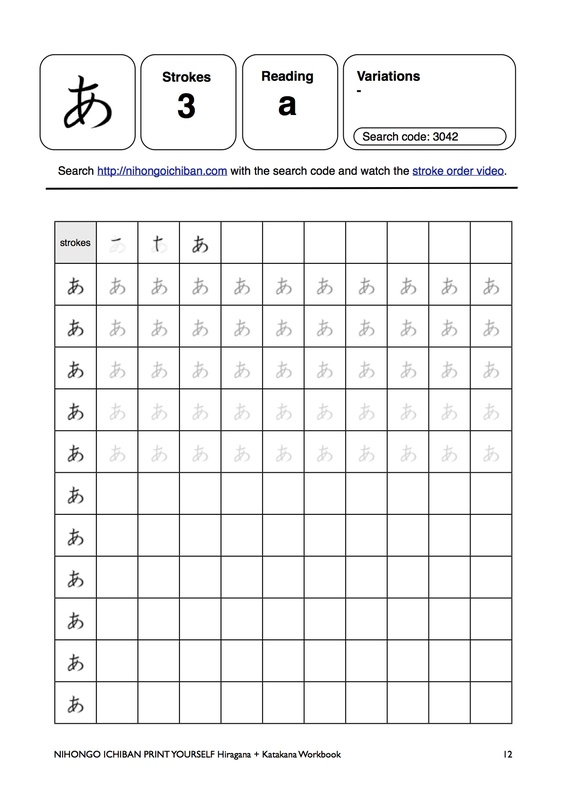 Hiragana are derived from more complex kanji and each hiragana represents a syllable. A total of 46 hiragana is used in contemporary Japanese writing. 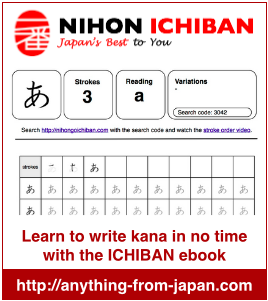 Click on the Hiragana to learn how to write and pronounce it. I think it would confuse people if they learned this and then realize the characters show up in Wikipedia or something. It sure confused me! @Jeff I thought about the Wi and We but they are more theoretical and although I live in Japan for 12 years I cannot recall that I ever have seen them as Hiragana. They also are not required for the JLPT. So I thought to better not show them. Could you please fix the link? It should be fix now! You can also go to “resources” and “Books & Material” where there are other links. Thank you for checking Nihongo Ichiban ! Just to add げ should be pronounced as ge instead of ke. Hi i can’t see anything in Japanese characters do i need to install some font. Could you upload in a gif version the voiced and voiced syllables (ga, gi, gu, ke, go…), please?